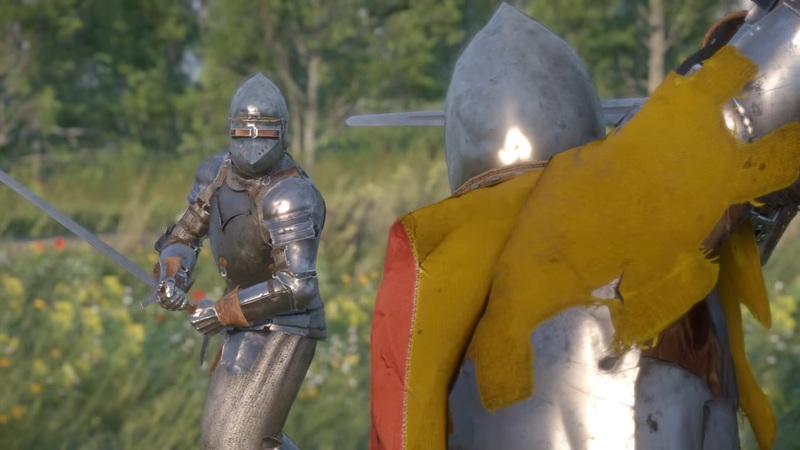 At E3 2016, the Indie Obscura team had the opportunity to sit down with the developers at Warhorse Studios to find out more about their upcoming game, Kingdom Come: Deliverance. After watching the trailer and learning more about the game’s mechanics and impressive attention to detail, we learned about some of the inspirations behind the game. Set in 1403 Bohemia, the game’s architecture was designed to represent actual historical buildings. There was a photograph on the wall that caught our eye while speaking with the Warhorse Studios team. 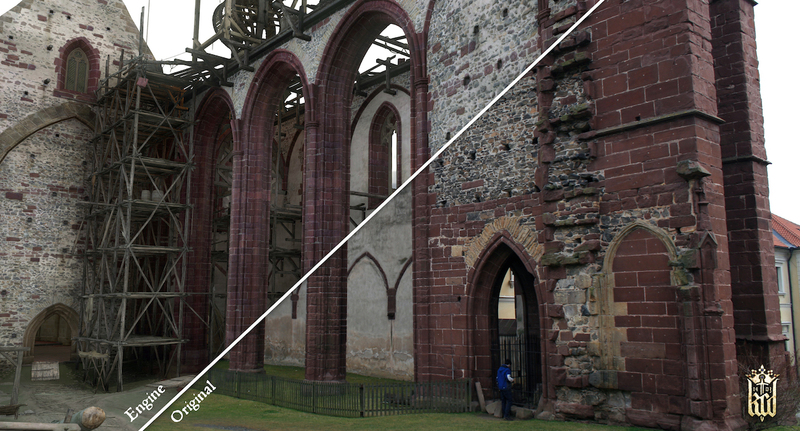 The photo is a side-by- side comparison of a monastery in the game and is an actual monastery that you can visit in the Czech Republic. 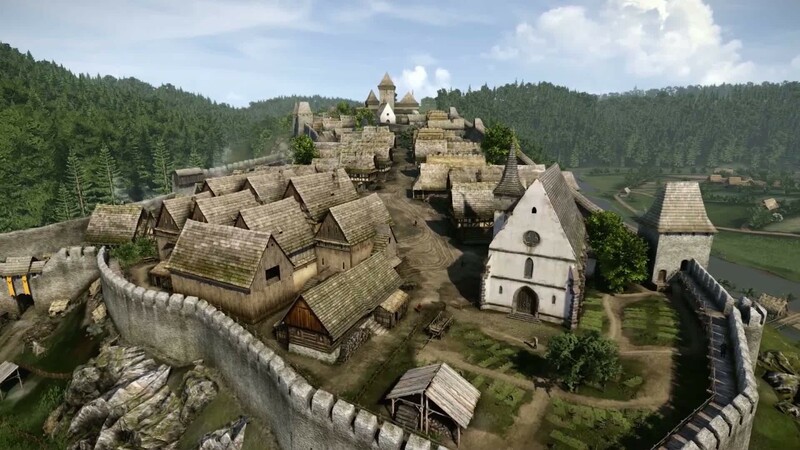 The team explained that they are recreating the building to look as it did in 1403, based on blueprints and historic information, and it is this level of intricacy and detail that makes Kingdom Come: Deliverance so special. In the game, there’s an armor layering system where you dress your character in every component imaginable, from gambeson to chainmail. In addition, the armor you wear in the game directly affects your play. For example, if your opponent is wearing a heavy suit of metal armor, it is more effective to bludgeon him to death with a mace as opposed to stabbing him with a long sword. You can use your armor to blend in, to intimidate… you name it! Oh, and your armor also gets dirty and bloody the more you fight! The in-game combat adopts a 5-point star system. If you swing your sword down over your head, the sword will remain in the down position, or if you swing left to right, your sword will remain in the right-hand position. The large world available to explore offers an abundance of different quests and missions to complete, and you will have to use your intelligence to not only complete these quests but to also unlock them. By interacting with the game’s NPCs, you’re given a dialogue tree where you’ll have to choose your words carefully to extract information. In addition, there are numerous ways to complete a quest. We found it fascinating to learn how the team hired a painter to hand-paint all of the artwork you see inside of the game’s buildings. The artwork in the preview was lit up by candlelight, which provided stunning dynamic lighting that really immerses you in the game. 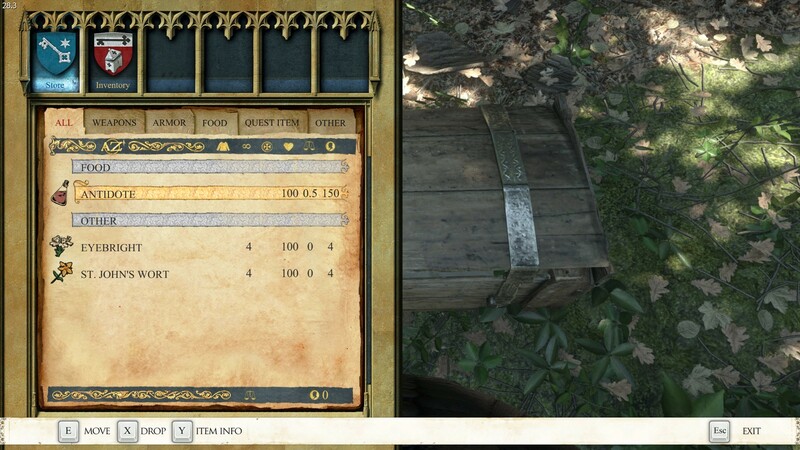 Finally, the immersion grows as your hands perform tasks that other RPGs automate, such as sharpening your sword, picking a lock, or mixing herbs and ingredients by hand in the game’s alchemy crafting system. 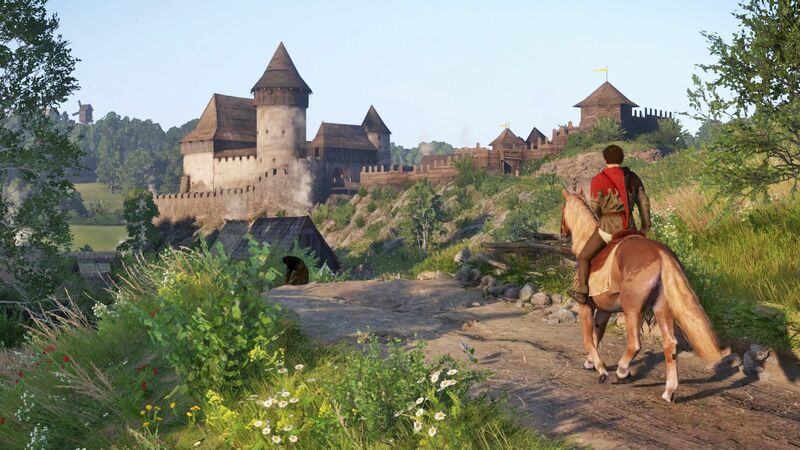 Without a doubt, Kingdom Come: Deliverance is an indie game to keep your eye on. If you’re impatient and want to jump right in right now, you can gain access to the beta by pre-ordering the game and supporting the team at Warhorse Studios. Be sure to check out our full review with Tobias Stolz-Zwilling about Kingdom Come: Deliverance at E3 2016!